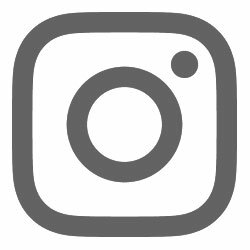 In the run up to Halloween I like to check out creepy and spooky events throughout London. When I heard about Delicious Decay at Barts Pathology Museum of Queen Mary University of London, I just had to give it a go! 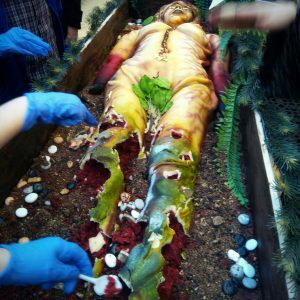 This Edible Body Farm was advertised as a delicious extravaganza revolving aroud decay and decomposition in a perfectly suitable venue. The pathology museum isn’t often open to the public, so it was a double delight to visit. 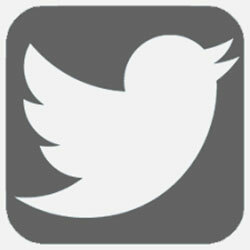 With 5000 specimen on show, the museum alone is absolutely worth a gander. Several floors with walls of jars filled with body parts is quite the sight to behold. 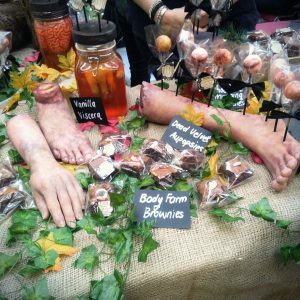 A selection of tables with sweet treats, all themed around death and decomposition made up the central part, with many fascinating and delightfully realistic edible masterpieces to sample and buy. 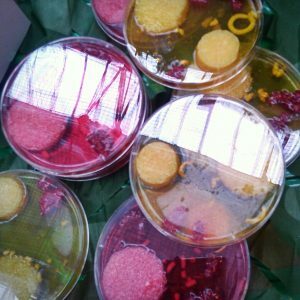 Along the sides were taste and smell experiences, including a “what’s your poison” death cocktail bar that served up appropriate drinks and a scent installation; the smell did permeate the room and was less than pleasant at times, while tying the whole event together. The scents demonstrated are used in the training of cadaver dogs, so it was an authentic, if gross, experience. A face painter was on hand for younger guests who delighted in being painted up as zombies, vampires, skeletons, or simply have wounds or worms adorn their faces. 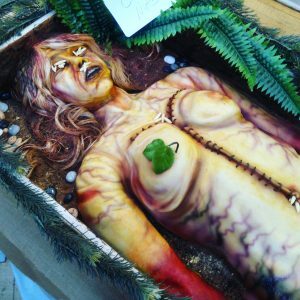 The most impressive exhibitor on hand was a full size corpse cake, red velvet of course, made to look like a decaying female body complete with maggots and autopsy scars. 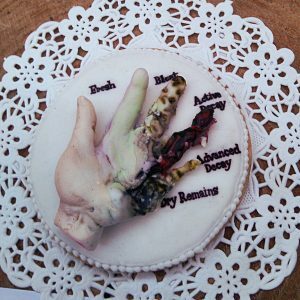 Everyone was invited to sample the corpse, delicious and sweet with a marzipan covering. Even the soil and pebbles she lay on were edible. An absolute masterpiece that was delivered inside a hearse. As I visited early in the day, we were asked to only sample from the legs for now. This amazing cake wasn’t just gorily beautiful in it’s realism and detailing, it was also absolutely scrumptious! Another experience on offer, which I unfortunately neglected to photograph, was a culinary demonstration of the Mellified Man, a legendary medicinal practice of pickling humans in honey for about a century to turn their bodies into medicinal confections. Obviously they didn’t use the real deal, but rather a combination of honeyed drinks, sprays and meats to recreat the taste experience. It was a most fascinating and informative event and I’ll definitely go again if they put it on again. I’m rating this one four and a half rainbow sloths!